I loved Jessica Cale’s Tyburn, and this novella was a great read, too — perfect for a rainy vacation day. It’s great to see Ms. Cale moving into the Regency, and also giving us LGBT characters. It’s important to imagine the lives of people who loved differently in the past, given where we are today in the back-and-forth struggle for LGBT rights. The story revolves around Apollo Rothschild, the reclusive Earl of Somerton, and Charlotte Halfpenny, a disgraced actress. Apollo has loved Charlotte from afar since he first saw her on stage; Charlotte needs a protector for herself and her baby on the way. What could get in their way? First, Charlotte distrusts the intentions of a nobleman she’s never met. Second, and most important, Apollo has a secret. Something to do with a mysterious inability to sire children, which is his justification for offering marriage to a pregnant, disgraced actress — like all noblemen, he needs an heir. The story is propelled by the unraveling mystery of Apollo’s secret. Given that this is an LGBT story, the truth behind the mystery shouldn’t come as much of a surprise, but the details of it are intricate and fascinating. 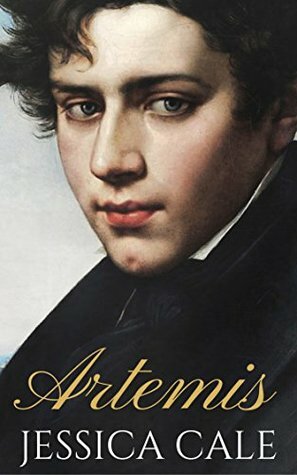 For readers who do twig Apollo’s identity right away, the pleasure comes from the dramatic irony of watching Charlotte try to unravel the secret the reader already knows. By the end, we’re convinced that these two characters are incredibly fortunate to have found each other. Along the way, Ms. Cale’s vivid depictions of life in London in the early 19th century, with just the right amount of historical detail, make the novella a pleasure to read. Highly recommended.